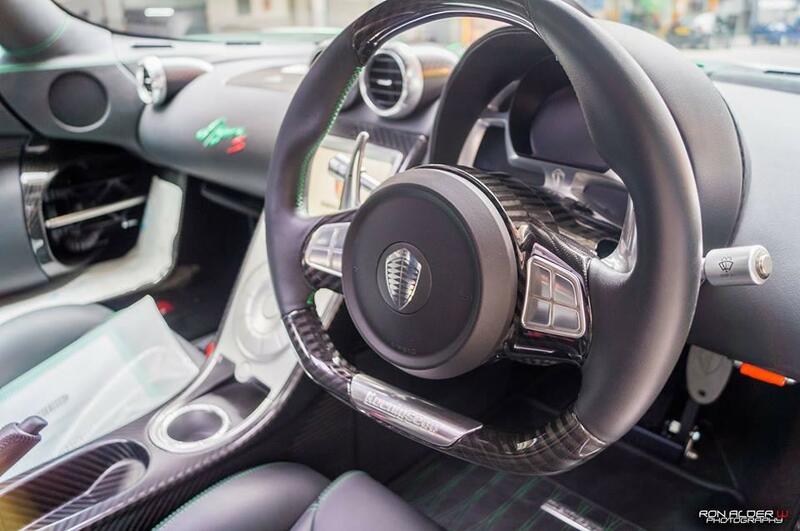 This distinctive car was the very first Agera S built. 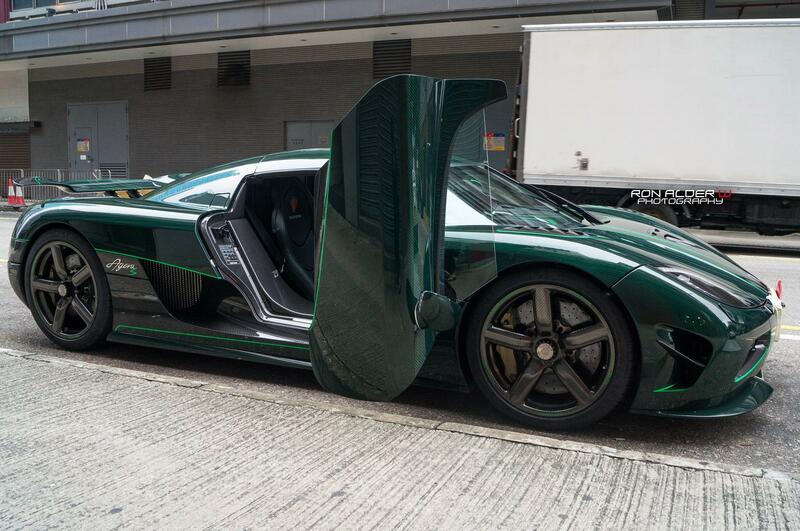 It was first spotted in Hong Kong at the end of 2012. Delivery to the owner was made in early 2013. 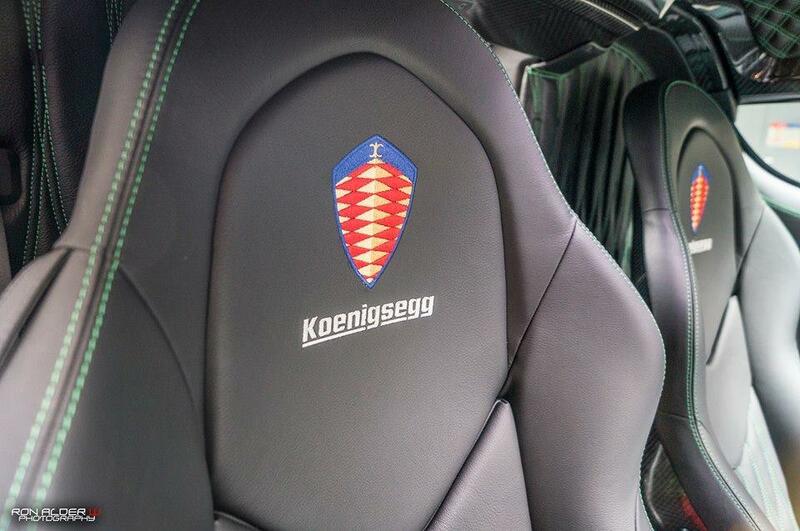 British Racing Green tinted full carbon body. Clear coated bare carbon center section on the front bonnet. 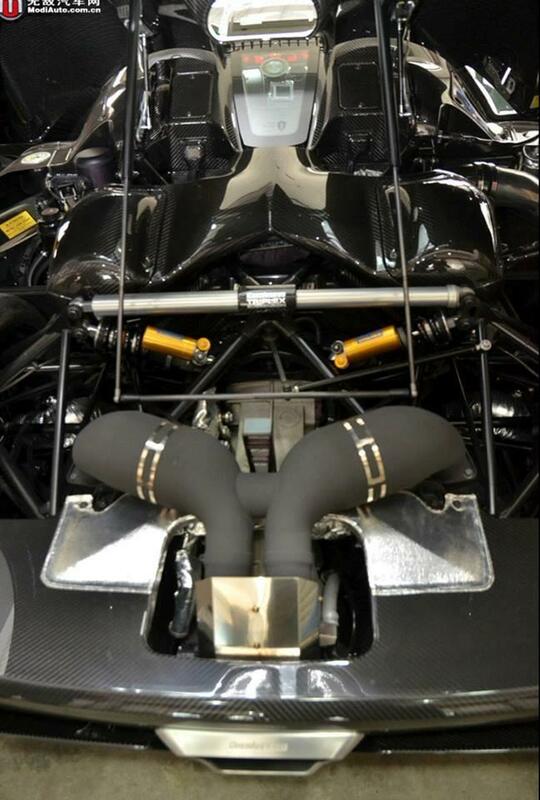 Bare carbon air intakes and numerous other details. 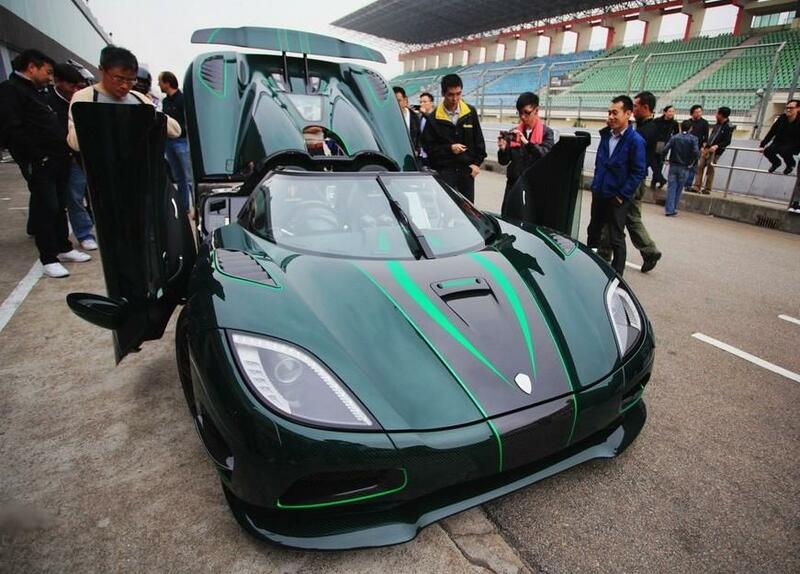 Bright green "claw" stripes and pinstriping. 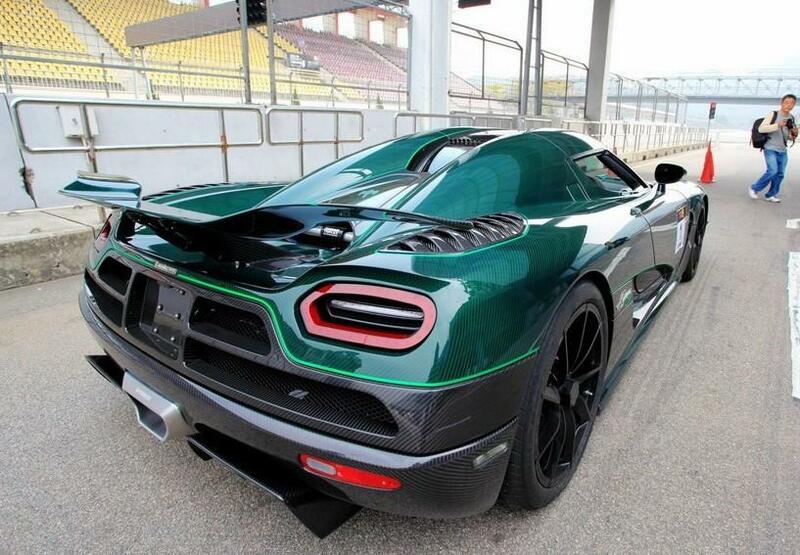 Green tinted carbon Dynamic rear wing with clear carbon stripes and wingtips. Carbon Aircore wheels (also seen with black "vortex" wheels), grey brake calipers. 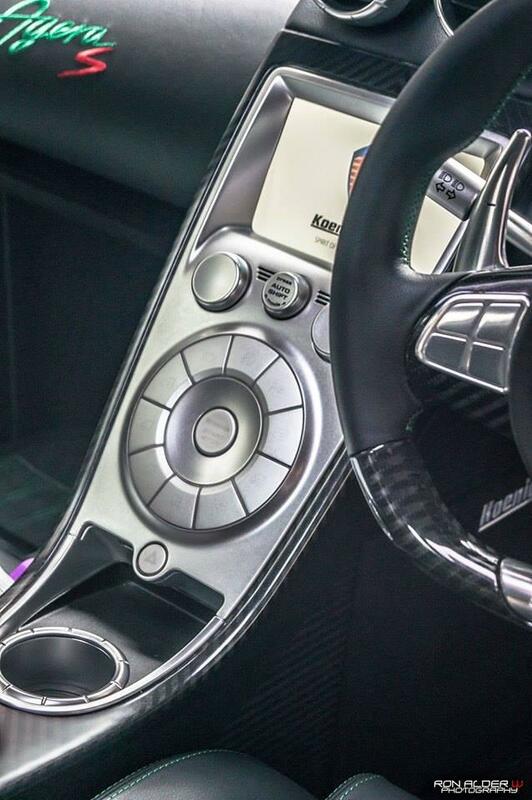 Black leather interior with green stitching, silver center console section. 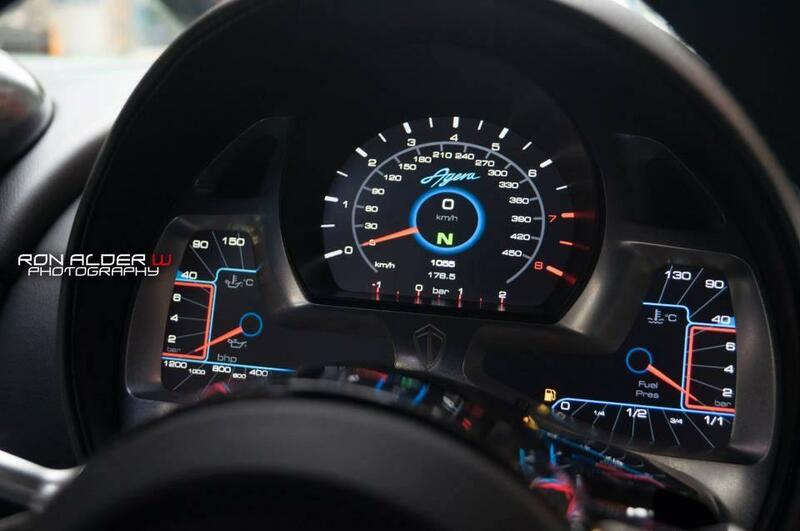 Standard Agera S engine, 1030 horsepower.